The UAEJJF keeps running strong after the Los Angeles Grand Slam. This weekend, on the 1st of November 2015, chief coordinator Elias Eberhardt put together another great event, one that caught the attention of many of Sao Paulo’s finest athletes. 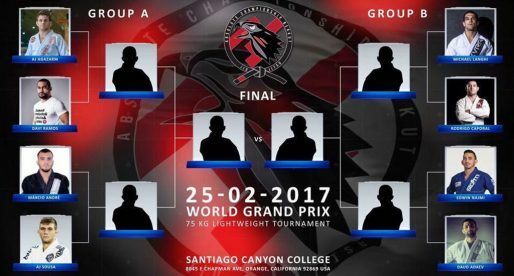 This particular Sao Paulo Brazil National Pro was a landmark in the sport, as it marked Jiu Jitsu Brotherhood’s first official tournament as a team. The Brotherhood is jiu jitsu’s most recent academy, one that originated from Leandro Lo‘s split from the famous PSLPB of Cicero Costha (as announced here). At the time Lo’s decision to move out of PSLPB had the support of some big names in the team, many of which moved on with Leandro and representing their new home this weekend against some of their former training partners. From all the black belt divisions, none was more stacked with talent than the under 77kg weight class, one that had many big names of the sport, including Felipe Cesar, Wellington Luis, Anderson Lira, Gabriel Rollo, Caio Almeida and many others. 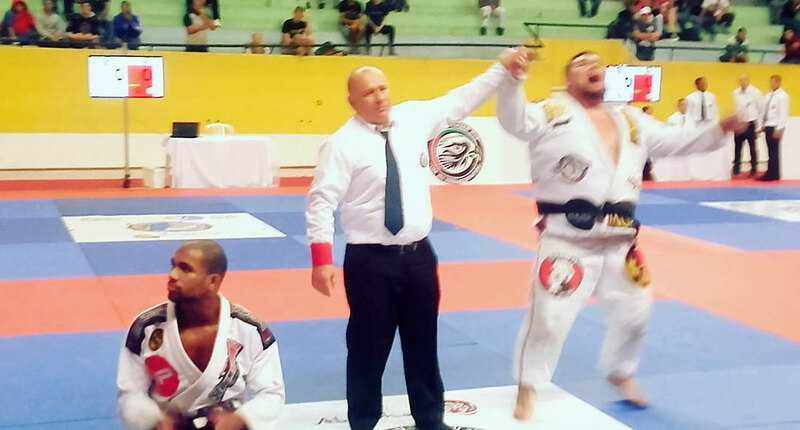 Marcello Souza wins gold over Eduardo Queiroz in the final, one of the smallest divisions of the competition at black belt. Double podium for the Jiu Jitsu Brotherhood, the first in the team’s history. Anderson Lira brought home Brotherhood’s first gold with a win in the final over his teammate Wellington “Alemao” Luis This was a friendly match between the two training partners. 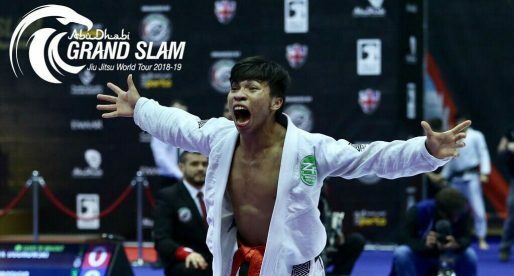 To get to the final both young black belts had to go through some of the sport’s biggest names, a testament to how bright the future is for these two young athletes. Pedro Pimenta is another young black belt with plenty of wind beneath his wings. The Gracie Morumbi athlete won his division defeating Diego Vivaldo in the final, Vivaldo known as “Hawk”. Member of the Guigo Jiu Jitsu academy. Erberth Santos beats Renato Cardoso on the advantages game at the final of the 94KG division. To get to the final the talented Santos submitted two athletes with chokes, while Cardoso mate his trademark straight ankle lock his weapon of choice. Cássio Francis (AKA Cassão) was the champion against Gilmar Silva. 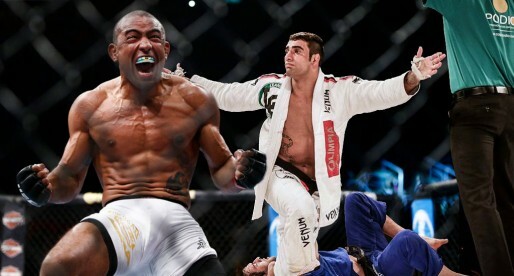 Francis is clearly becoming the main figure of Sao Paulo at this weight class. The National Pro’s organized by the UAEJJF offer a trip to the Abu Dhabi World Pro, all expenses paid to the champion of the absolute divisions. This highly valued prize is offered in two categories, open weight under 77kg and over 77kg. Gabriel Rollo of Checkmat was the big champion defeating Felipe Cesar in the final by 1 advantage (2×2 on points scoreboard). Rollo had many tough matches to reach the final, including a victory over the highly talented Alemao. After a disappointing performance in his weight class, where he lost in the first match, Otavio Natali was the big champion defeating his former team mate Erberth Santos in the final by referee decision. To get to the final Natali defeated Leandro Pedrosa of Brotherhood and the powerful Cassio Francis. Bianca Basilio beat Eloisa Souto for gold. Fernanda Mazzelli beat Carina Curvelo and took the championship. -62KG More of the same, Bianca Basilio beats Eloisa Souto in the final.